Dan Fogler is known in a number of films, like the Fantastic Beasts, Balls of Fury and even Kungfu Panda. He’s now taking on his latest most realistic role yet in AMC’s The Walking Dead. Portraying Luke, he is a member of Magna’s (Nadia Hilker) group that admits he was lucky to come across them when he did. Luke is a pacifist, he doesn’t want to make trouble with anyone most importantly with his own group that he considers family. 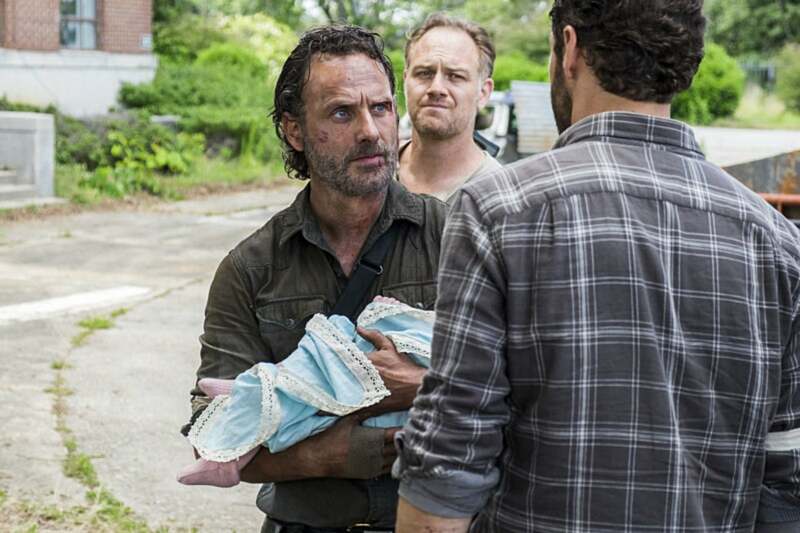 Coming up to the Mid Season Finale, will Lukes fate be cut short on The Walking Dead? Or will he get lucky and survive the incoming villains, The Whisperers. 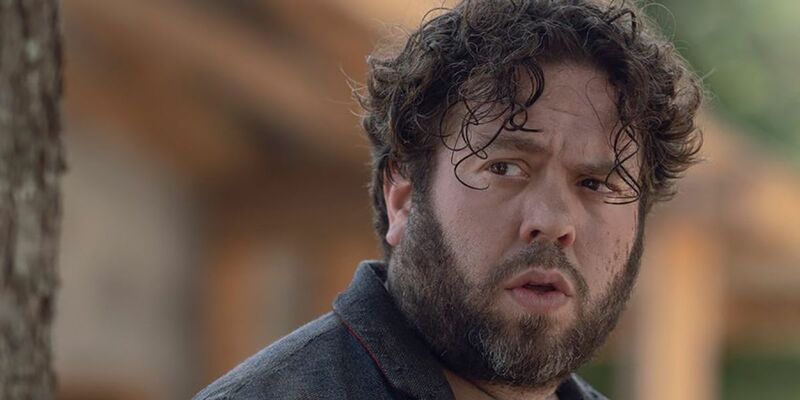 Dan Fogler talks with AMC about his time on set so far. Q: What was your first day on set like? Were there any unique challenges in joining the show after the huge time jump? A: It was really cool. We were thrown right into it. 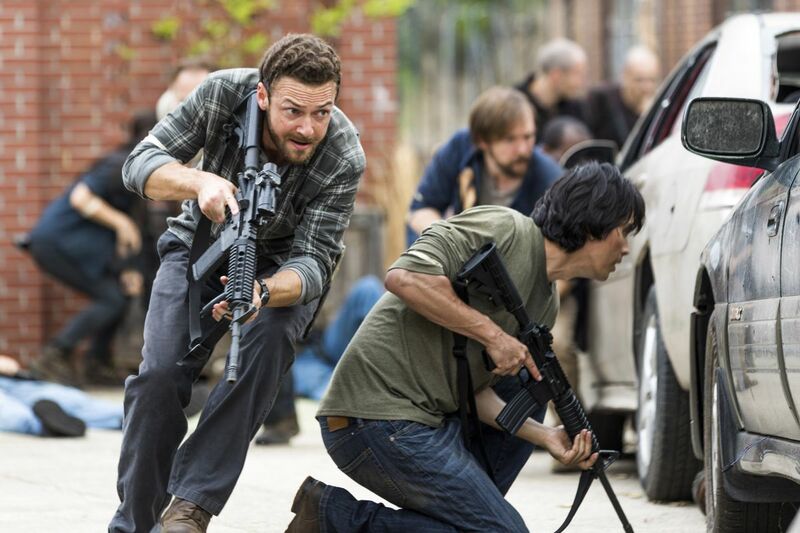 It’s this scene where we’re surrounded and we’re being directed by Greg [Nicotero]. So, you have this genius who is conducting this controlled chaos of walkers closing in on us from all sides. Even though it was the first day, it wasn’t hard to get into that mindset because of the way they set it up. Right away, I’m killing walkers and it’s this iconic moment where it looks like we’re done for. 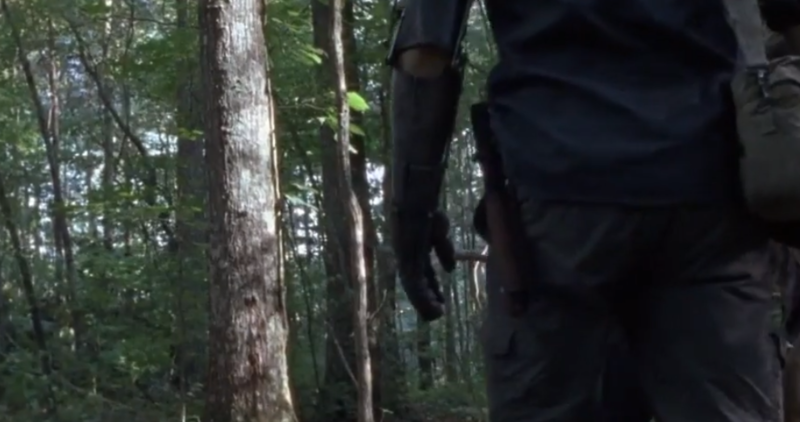 And suddenly, the walkers start getting picked off and we start running towards this voice in the middle of the woods, and it’s little Judith Grimes — but she’s not the little girl that we remember. She’s this 10-year-old who’s wearing her daddy’s hat and who just saved our lives. It was so surreal. So, that was the first day, man! [Laughs] Andrew [Lincoln] has set this high mark of giving it your all. You walk into that and you see that on set. 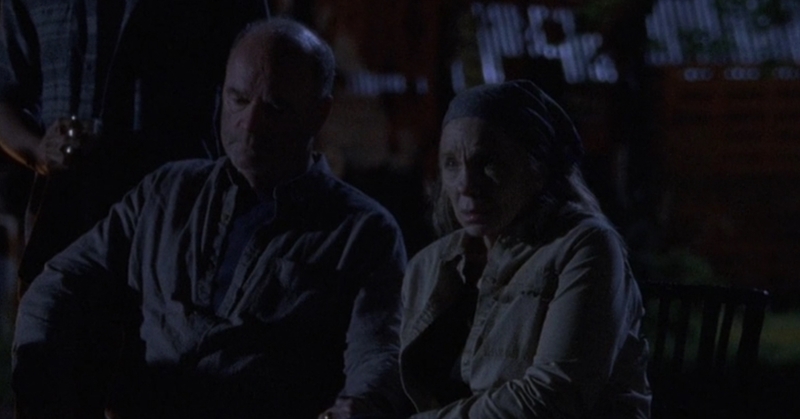 Q: What does it mean to Luke that Judith was the one to advocate for his group? Is there something pure about how she views them through her eyes? A: He was a school teacher. He sees children as people that he’s supposed to protect and teach and nurture. Now, he sees this little girl wielding this weapon that’s bigger than she is and saving him. It’s intense for him to take in. On one hand, he wants to take the gun out of her hands and say, “Darling, I’m so sorry you have to be in this situation.” On the other hand, he’s eternally grateful. He sees her as very special. She’s a child of the new generation. In these intense times, you form these bonds very quickly. If someone saves your life, you are bound in loyalty to them. I think people will love her character. She’s like a spark plug. You see her with that hat and you know that she’s carrying on the mantle. Q: Of course, joining a new community won’t come without some pushback – particularly from Michonne, who is head of security. What does Luke make of her? A: Michonne is my favorite character from the books. I was really excited to work with Danai [Gurira]. You see her ride up like f—king Clint Eastwood on a horse with the katana on her back. Just seeing that iconic image and her interrogating us, you don’t have to act very much. [Laughs] It’s like, “You’re the boss. You’re absolutely right.” Luke and his little family have been together for a while and they’ve been having terrible luck. They’re in the middle of this nomadic journey, trying to find a place and living this caravan life. They’ve never seen anything like [Alexandria]. They have lovely houses, a windmill, a laundromat and pizza!… They’re in shock… It’s like Willy Wonka’s chocolate factory when they get there. Q: When asked who they are now versus who they were before, other group members choose new identities, but Luke still says he’s a music teacher. Any significance in that? A: He has this hope that one day, he’s going to be able to sit down with kids and teach them again. That philosophy has kept him sane. He’s had to do some terrible things in order to survive, but those things didn’t turn him into a murderer or a warrior. I think that’s really important because he’s found his purpose in life and he’s able to hold onto that. I love that. Q: You’re among a diverse group and they feel so tight-knit onscreen. What was it like building that relationship with your cast mates? A: We had about two weeks of rehearsal where we all stayed at the same hotel and we got to be a family, essentially. Each one of them is even more lovely than the next… The chemistry was there immediately and then there was the bonding experience over learning sign language. That was our special thing that helped us survive. Lauren [Ridloff] plays Connie and she was basically our secret weapon out in the wilderness. Even though she’s deaf, her other senses were extremely heightened and we were able to communicate in silence with each other. Angel [Theory], who plays Kelly, is an angel. [Laughs] She has such a sweet energy. She’s also partially deaf, so we learned from her as well. Then you have Yumiko [Eleanor Matsuura] and Magna [Nadia Hilker] who are kind of like two sisters on either side of the spectrum. Yumiko is the more logical one and Magna is fiery and spontaneous. With Luke, I oftentimes feel like I’m speaking in my own voice. He’s me in a parallel universe if acting didn’t work out and the apocalypse happened. [Laughs] We formed a strong bond and I think it comes through on screen in each episode. Every time we save each other’s lives, the bond grows stronger. Q: What are you most excited about when it comes to these final episodes of the first half of the season? A: Luke is a new kind of character for this show. First of all, I want people to look out for his professorial elbow patches because I asked for those. They scream “teacher” to me. The fact that he’d hold onto this blazer in the heat gave a nice clue into his character. There’s not a lot of comedy on the show, but I do get to have some light moments. He has a real zen attitude about life and that whimsical personality in the midst of chaos can be funny… You look at him and say, “How the hell did this guy survive?” He’s an odd duck, but this guy is smart, philosophical and he can defend himself. He’s a great character to play. I’m excited for people to see me as a survivor. All credit here goes to AMC and Tripwire Magazine where this Q&A was taken from.